National Treasury indicated in the 2016 Budget Review that there are differing views as to whether the remuneration paid to a non-executive director (NED) is subject to employees’ tax, that is, pay-as-you-earn (PAYE) and whether a NED should register for value added tax (VAT). It was suggested that these issues be investigated to provide clarity. In its final response document on the Taxation Laws Amendment Bill, 2016, National Treasury and the South African Revenue Service (SARS) proposed that SARS address the uncertainties relating to VAT and PAYE in relation to NED remuneration in an Interpretation Note. On 10 February 2017 SARS issued Binding General Ruling (Income Tax) 40 (BGR 40) and Binding General Ruling (VAT) 41 (BGR 41) in which it sets out its interpretation of the Income Tax Act (the Act) and the Value Added Tax Act (the VAT Act) in relation to NED remuneration. Unlike what has become common practice by SARS to publish binding general rulings in draft format for public comment first, BGR 40 and BGR 41 were issued as final documents without inviting public comment. This BGR sets out SARS‘s interpretation of the employees’ tax consequences of fees derived by non-executive directors as well as the impact of section 23(m) of the Act on non-executive directors claiming deductions against fees derived by them. 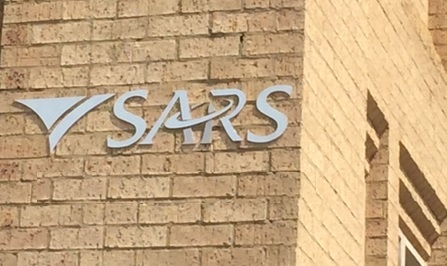 SARS points out that since the introduction of the so-called statutory test contained in paragraph (ii) of the exclusions to the definition of remuneration contained in the Fourth Schedule to the Act, there has been uncertainty over the nature of amounts paid to non-executive directors and whether they should be subject to employees’ tax. · is independent of management on issues such as, amongst others, strategy, performance, resources, diversity, etc. SARS points out that for the purposes of the BGR it is considered that a non-executive director is to be a director who is not involved in the daily management or operations of a company but attends and provides objective judgment on the company’s affairs and voted board meetings. The BGR makes it clear that SARS accepts that the nature of the duties performed by a non-executive director mean that they are not regarded as common-law employees. Thus, the only basis on which a non-executive director could be subject to employees’ tax is if the so-called statutory tests apply. Those tests provide that, notwithstanding an amount is paid for services rendered to a person carrying on an independent trade, the recipient is regarded as an employee if two requirements are satisfied, namely, the ‘premises’ test and the ‘control or supervision’ test. · the ‘premises’ test requires that the services must be performed mainly at the premises of the client. Mainly is regarded as meaning a quantitative measure in excess of 50% based on the judgment of Sekretaris van Binnelandse Inkomste vs Lourens Erasmus (Eindoms) Bpk 1966(4) South African 434 (A). It is required that both of the above tests must be met, that is both the ‘premises test’ and the ‘control or supervision’ test must be fulfilled before the recipient will be regarded as not carrying on an independent trade and therefore receiving remuneration subject to employees’ tax. However, if only one of the above mentioned tests is fulfilled, or neither, the deeming rules cannot apply. Where the non-executive director is not deemed to be an employee and also is not a common law employee the amounts payable to the non-executive directors will not constitute remuneration. The BGR makes reference to the fact that it has been suggested that payment made by a company to a non-executive director for time spent preparing for board meetings, for example, which result in payment of an hourly rate for a specified number of hours before each meeting creates some form of control or supervision of the hours of work performed by the non-executive director. SARS indicates that this is not the correct manner in which to apply the ‘control or supervision’ test. The fact that there may be a contractual relationship regulating the number of hours for which preparation time may be billed does not result in ‘control or supervision’ being exercised over the hours during which a non-executive director’s duties are performed. Thus, such payments will not satisfy the test in question. It must be noted though that this rule does not apply to non-resident independent contractors. Section 23(m) prohibits employees and office holders from claiming the deduction of certain expenses. The section requires that expenditure must relate to an office held by the taxpayer and, furthermore, that the taxpayer must derive remuneration from that office. SARS accepts that directors are holders of an office and thus if they do receive remuneration, section 23(m) will result in the prohibition from claiming deductions applying to that director. Where, however, the non-executive director does not receive remuneration, SARS accepts that section 23(m) cannot apply and the ordinary rules for deductibility of expenditure set out in the Act will apply. For purposes of the ruling published by SARS, SARS accepts that the non-executive director does not constitute a common law employee. SARS further accepts that no control or supervision is exercised over the manner in which a non-executive director performs his or her duties or their hours of work. As a result, the director’s fees received by a non-executive director for services rendered in that capacity on a company’s board do not constitute remuneration and are not subject to the deduction of employees’ tax. The non-executive director must reflect the income received for services rendered as a non-executive director for tax purposes and pay tax thereon via the provisional tax system. In addition, SARS accepts that because the amounts received by a non-executive director do not constitute remuneration, the prohibition of claiming expenses under section 23(m) will not apply in relation to the fees received by such persons. The ruling does not apply in respect of fees received by non-resident non-executive directors, in which case the company paying the fees will be required to withhold and deduct employees’ tax. The ruling is published as a BGR in accordance with section 89 of the Tax Administration Act which means that taxpayers are entitled to rely thereon. It must be noted that the ruling has been published such that it will apply from 1 June 2017 until it is withdrawn, amended or the relevant legislation is amended. The terms of the ruling further provide that any ruling and decision issued by the Commissioner which is contrary to BGR 40 is withdrawn with effect from 1 June 2017. When reference is made to the BGR referred to, the question arises as to what companies should do from the date of publication of the ruling until the date of application thereof, that is, 1 June 2017. Where, based on an analysis of the law the company is satisfied that it does not exercise supervision or control over the non-executive director and the director is resident, there is a basis in law for the company not to deduct employees’ tax from the fees paid to that director from 10 February 2017 until 31 May 2017. In BGR 41 SARS refers to its conclusion in BGR 40 that an NED is not considered to be a common law employee and that the remuneration paid to an NED is therefore not subject to PAYE. SARS ruled that for VAT purposes an NED is treated as an independent contractor as contemplated in proviso (iii)(bb) to the definition of “enterprise” in section 1(1) of the VAT Act, in respect of the NED’s activities. BGR 41 further stipulates that an NED that carries on an enterprise in South Africa is required to register and charge VAT where the value of the remuneration exceeds R1 million in any consecutive 12-month period, and that this applies to ordinary residents of South Africa and to non-resident NED’s. BGR 41 is made effective from 1 June 2017. SARS indicated in a media statement issued on 14 February 2017 that where the remuneration paid by the NED was subject to PAYE, the NED would not be required to register for VAT prior to 1 June 2017. This would allow NED’s who are affected by BGR 41 then approximately three months to register for VAT with effect from 1 June 2017. In terms of section 66(8) of the Companies Act, 2008, a company may pay remuneration to its directors for their services as directors. However, such remuneration may be paid only in accordance with a special resolution approved by the shareholders within the previous two years. In terms of section 64 of the VAT Act any price charged by any vendor for the taxable supply of goods or services is deemed to include VAT. Therefore, where the NED’s remuneration is not increased by the VAT rate by a special resolution of the shareholders before 1 June 2017, the NED’s remuneration will be deemed to be inclusive of VAT. The question arises as to whether SARS is correct in its interpretation of the VAT Act as set out in BGR 41. SARS considers an NED to be an independent contractor “as contemplated in proviso (iii)(bb) to the definition of “enterprise” in section 1(1) of the VAT Act”. However, proviso (iii)(bb) only applies to services rendered by employees or office holders as contemplated by proviso (iii)(aa) where the remuneration payable constitutes ‘remuneration” as defined in the Fourth Schedule to the Act. SARS has ruled in BGR 40 that the remuneration paid to an NED does not comprise “remuneration” as defined in the Fourth Schedule, and therefore proviso (iii)(bb) is not applicable as contended by SARS. The question that remains is whether an NED is carrying on an “enterprise” as contemplated by that definition. BGR 40 stipulates that SARS considers an NED to be a director who is not involved in the daily management or operations of the company, but simply attends, provides objective judgment and votes at board meetings. The question is whether such activities of attending and voting at board meetings comprise the supply of “services” as contemplated by the definition of that term as defined in the VAT Act, or whether they are merely the fulfilment of the statutory duties of the NED. In addition, an NED is elected to that position in his or her personal capacity as contemplated by section 68 of the Companies Act to serve for a specified term, unlike an independent contractor who is appointed under a contract to provide specific services, and who is entitled to delegate the performance of the services. The independency of an NED from the management of a company should further not be confused with independency from the company itself. The company, being a legal entity, cannot on its own make any decision or take any actions. A company’s mind and soul has been considered by our courts to be that of its board of directors, which includes the NED’s. It therefore seems that it could be argued that the activities of an NED do not fall within the ambit of the definition of “enterprise” as defined in the VAT Act as contended by SARS in BGR 41. However, in the absence of a court ruling to the contrary, an NED may be held liable for the VAT, penalties and interest if he or she does not comply with BGR 41.